Subject description: hopefully this will give a good idea what to do. There is now a Flash Movie of this howto available. It takes a while to load, because of it's size. 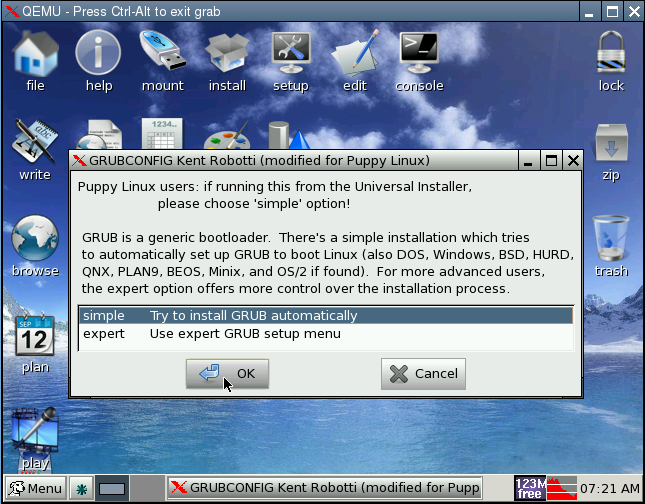 This Howto was done using Puppy 4.00 (Dingo) as the guinea pig. it does not attempt to explain how to dual boot puppy with another already installed OS. and that you are installing to a normal internal hard drive. you should make yours to the sizes that you want. it is usually recommended that it is twice the size of your RAM. you will need this information pretty soon after booting the CD. therefore i cannot show any screenshots for the Xorg sequences. you will not see it yourself, so do not expect to. but i could not see any other way of doing it. Part 1. Booting to the desktop. first boots, for the boot menu then select the drive that the CD is in. Part 2. Partitioning and Formatting the drive. Now for the main part of this howto. 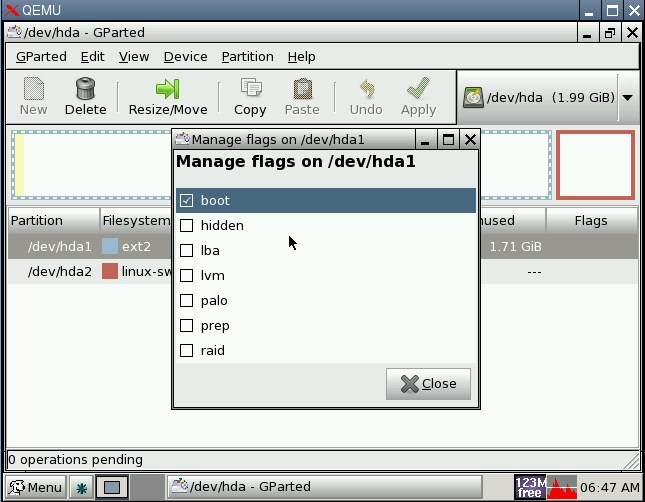 Then click on New to create a new partition. if so, then for the purpose of this Howto it is probably best to start from scratch. So select them one at a time (starting with the bottom one) and click Delete. Eventually you will be left with exactly what you see in the image below, this is the whole drive marked as "unallocated"
Make the partition to the size you wish, as you can see below, i left enough space for the SWAP partition. 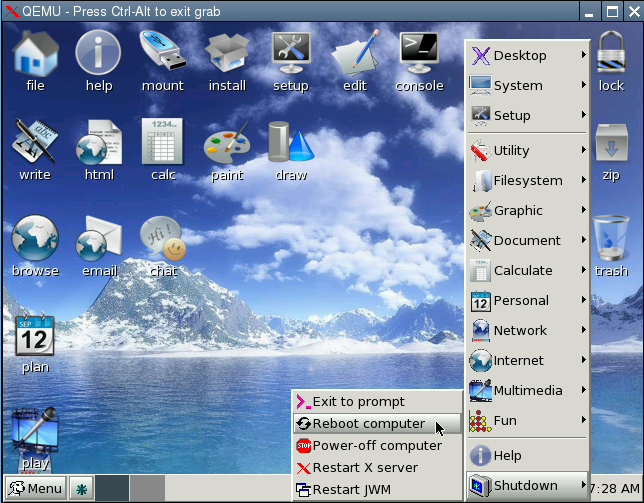 For Filesystem you can choose either ext2 or ext3. then RIGHT click and select Manage Flags. Now click to select boot. when its ready click on Close. Things should now look something like this. If so, you can now close GParted, we are finished with it. 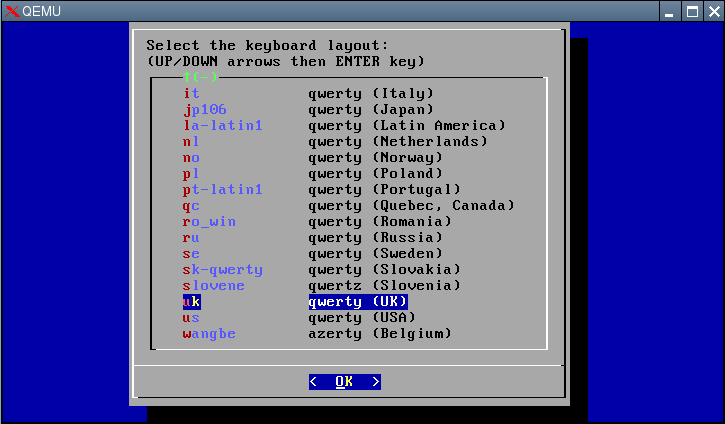 You will need to make your choice of Keyboard Layout, and Xorg or Xvesa once again. When you get to the desktop, that is it done. 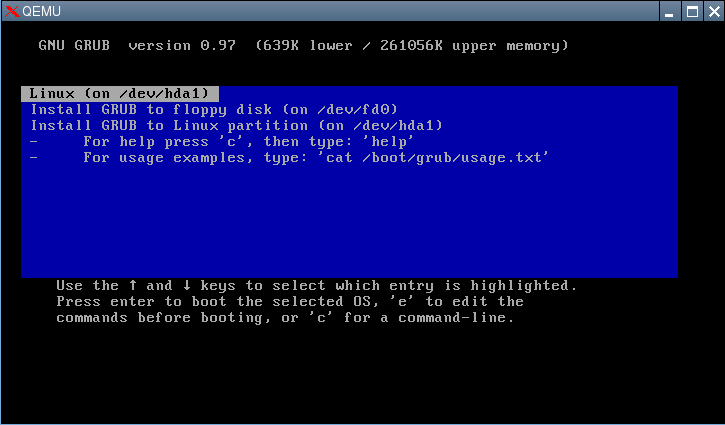 Next time you reboot, after selecting the partition to boot via GRUB you should go straight to the desktop. I hope this will help clarify the procedure, for those new to linux. nicely displayed. i wish i had that in my early days of puppy. This page will be bookmarked for future puppy converts. I found installing Puppy 4.00 to a bare hard drive was easy. Editing the menu.lst file get Puppy to boot to the hard drive was the hard part. Menu.lst is in the /boot/grub directory. My menu.lst is below, to use as an example. My hard drive has two partitions (hda1 and hda2) plus a swap partition, but only hda1 is bootable. I made only two changes to the menu.lst that grubconfig generated. I removed the # character at the beginning of the timeout line (line 9) and changed the 30 to 5. This made Puppy automatically boot after 5 seconds. And I put a # character at the beginning of every line referring to booting from hda2 (lines 18-20). # here '/boot/grub/mbr.hda.22339'. You can restore it like this. pause Insert a formatted floppy disk and press enter. pause Press enter to continue. Thanks, as they say, a picture speaks a thousand words. So i suppose 40 pictures speaks volumes. 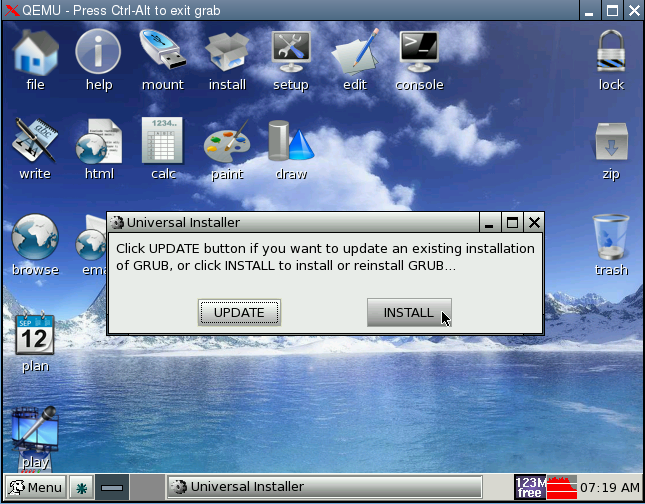 If you installed to hda1, then that is what you would select at the GRUB boot menu. 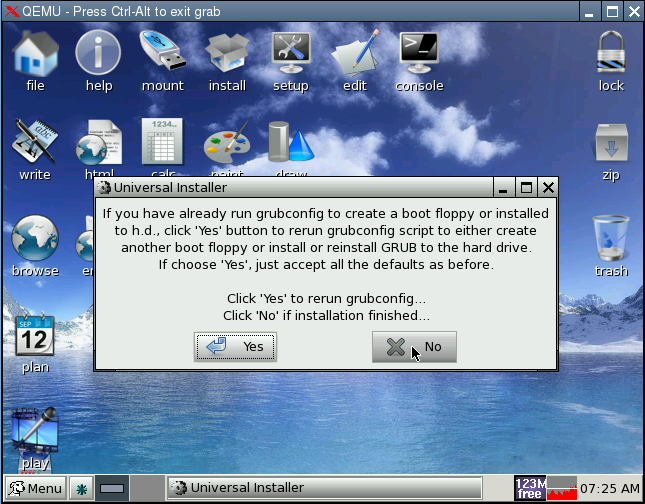 Sorry if you had trouble with it, but this howto was really just to show how to do a FULL install, and not so much about GRUB. Normally the installer gets the menu.lst entry right, when doing a FULL install. This layout gives us "newbies" a window in what to expect ,without that hidden "Gotcha" that we don't expect. That was pretty much the intention, glad that it came across as such. I just downloaded the latest version and the screens I see match what I am seeing except for the screen that asks me where the files are. Everything else is the same, but when I go to restart the machine the grub menu comes up, the hard drive spins for a while but absolutely nothing beyond that. I wish I could give more details to the error, but literally nothing comes on the screen. I did read one post someplace that suggested add acpi=force as an option and I tried that but still no joy. I have a bunch of P3 500mz machines I would love to get this on, all of the drives have been completely wiped and I am trying to just install puppy as the only o/s on the machine. Like I said it keeps hanging with no error messages or anything else. Since the screen about where the files are is not showing, would it be possible to copies those files to the correct place first before rebooting? If that is yes, where do they need to be copied to and which files? I have my swap set up as hda1 and my data partition (wanting to let puppy take all of the rest of it) on hda2. This is the only hd in the system. Thanks is advance. 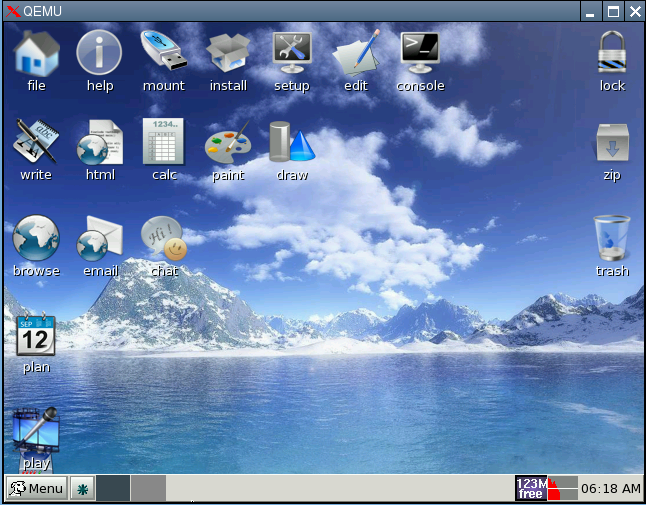 This looks like a really great distro for older machines. This is a follow up to my post above in case someone else runs across this issue. It would appear that when the machine was 'doing nothing' it was actually waiting on some kind of prompt. I rebooted it, and when nothing was happening I hit enter, which resulted in more hd activity. Hitting enter two more times let whatever scripts or processes were running continue and at that point the machine loaded the X server just fine. The problem did not occur on subsequent boots. With regards to the screens I did not get prompted with, I did see those screens on a different machine later as part of the install routine. The only difference I can think of is that the machine that I saw the screens on actually had XP installed on it, so it would appear that those screens are only presented if Puppy senses NTFS, Fat32, or (maybe Fat16) types of partitions. Hopefully this information may help someone. Thanks for distro though. I suspect I will be using it to bring more machines to life in the future. I just downloaded the latest version and the screens I see match what I am seeing except for the screen that asks me where the files are. By this do you mean Image-24 ? 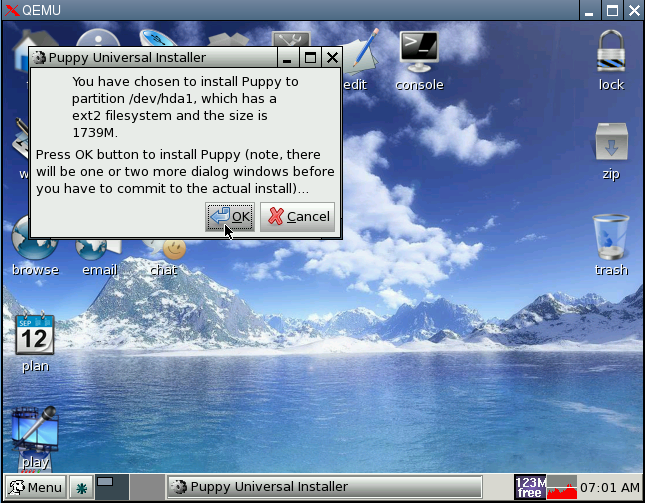 If so, then how exactly did you manage to install Puppy ? Everything else is the same, but when I go to restart the machine the grub menu comes up, the hard drive spins for a while but absolutely nothing beyond that. I wish I could give more details to the error, but literally nothing comes on the screen. 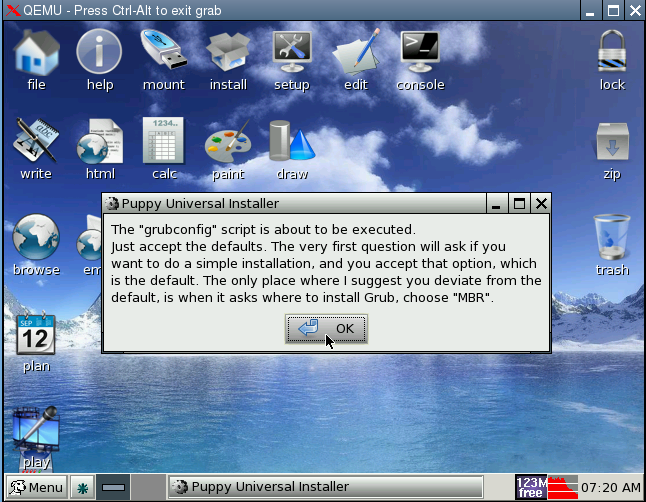 did you do it via the menu and not the Puppy universal installer ? yet i still got the screen asking where the files are. Firstly - great post. 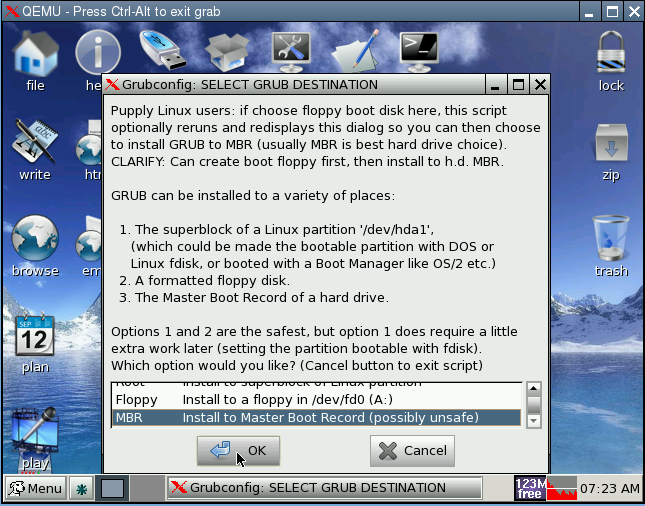 You could put this in the wiki too, and mention it on www.puppylinux.org. May I suggest one little tweak? A bit of guidance on whether to format your partition as EXT2 or EXT3 would be useful. You know; why you might choose which - pros and cons. Needn't be much but it would forestall a potential "OMG! What does that mean?" moment. please take a look at it now and let me know if this will do. I have added a quote from one of Sit Heel Speak's posts, with a link to the post its self. That's good,. It might be worth adding that fsck runs each time you boot up. I wonder why anyone ever chooses ext2? I guess there's a performance downside; but whether any desktop/;laptop user would ever actually notice is doubtful. It's different story for servers of course; though the irony there is that you'd be more likely to want journaling for them! It might be worth adding that fsck runs each time you boot up. it may be true of a FRUGAL install (though not necessarily so with Dingo). i could then do as you ask, its just that i do not want to say something if it is not so. i just dont want to disinform anybody along the way. Ooops - I think you're correct. I'm fairly sure that is a feature of Frugal, but I'm not so sure either about an HD install. I agree that it's best not to say anything in that case. The full install is not successful if the box won't boot to hda1. In my case, the CD drive was broken. 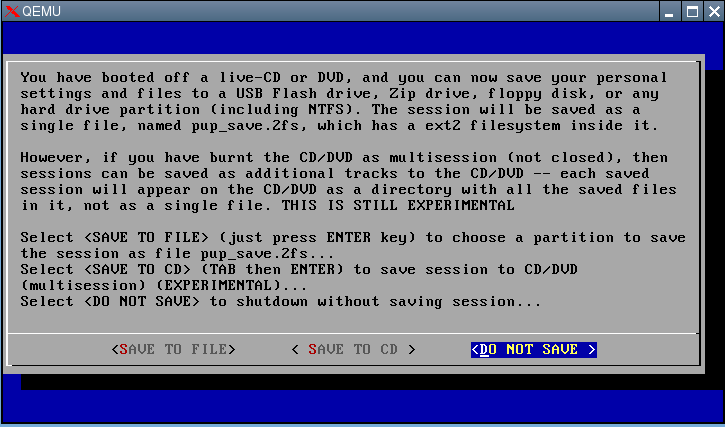 I tried an unorthodox installation method -- from a flash drive booted from a floppy. 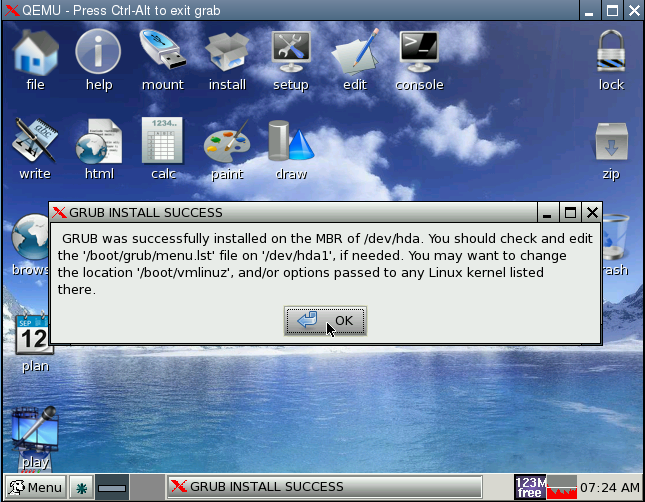 Installation went fine except there was no entry for hda1 on the GRUB boot menu. I finally had to borrow a CD drive just for the installation. That got menu.lst to the point where I could edit it. I stuck my menu.lst in for the benefit of others with hardware limitations. The Sir Heel Speak piece on drive format is helpful.